When I first saw the Rhodesign creations, I felt like these designers had something different. Their futuristic look combined with the architectural design of their products offer a subversive result. The natural materials they use, transfigure their objects into an aesthetic and sensory delight. 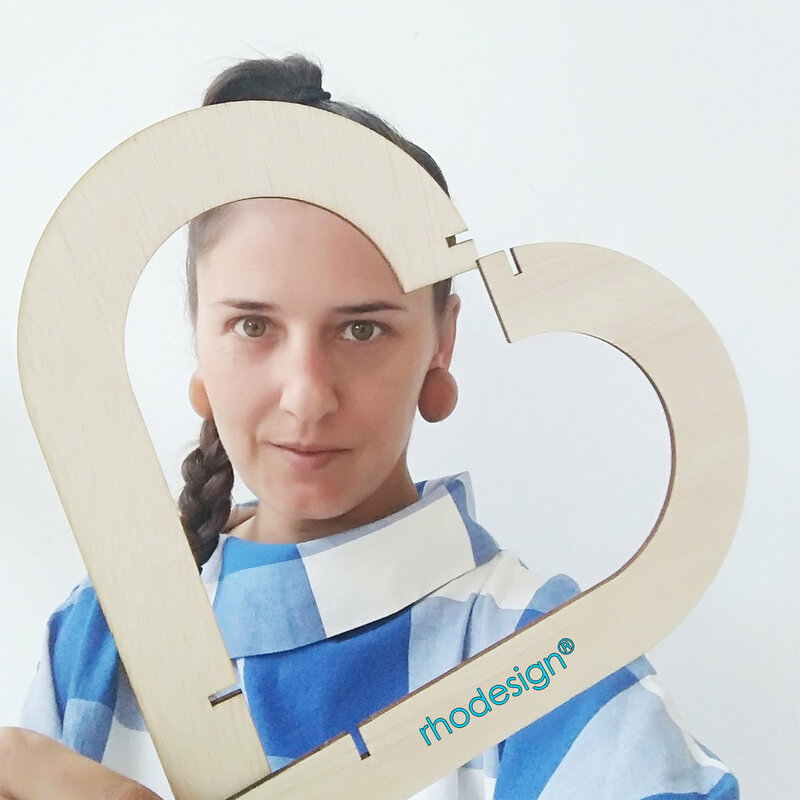 We talked with Theodora and Lefteris, creators of Rhodesign®, about creativity, how they started their business and why they chose to stay in Greece and start their company. Theodora and Lefteri, tell us a bit about yourselves. Where do you live and who are your beloved people? We’ve been living in Rhodes for the last ten years. We’ve chosen this island because it was Lefteris' birthplace. Good friends and family are definitely our specials. What exactly is Rhodesign, how did you come up with the idea and what prompted you to turn it into a successful business? Tell us a little more about what is your inspiration? Inspiration is strange; you may be locked in a room and get the craziest inspiration but you may also be surrounded by a beautiful environment, full of stimuli, and not feel it at all. Certainly, the natural environment, history, art, tradition, architecture, the temperament of our place are filtered, transformed and modernized. This is how new designs occur. Inspiration, however, requires observation, knowledge and hard work. How has Rhodesign changed your life? It has definitely changed our life for the better and liberated us in a creative way. At the same time, it has given us the opportunity to meet many people and learn many new things. Of course, the job is demanding and multidimensional. There are times that you feel frustrated or tired, but it was this that taught us that some things need persistence and time. What challenges did you face and how did you eliminate them? The difficulties were and still are quite a few. Certainly many of them were due to the lack of experience, then the part of the partners, the supply of raw materials or the quality. We spend many hours in our workshop testing and "experimenting" until the final result. Often we fail and have to reject something that we wanted a lot. When that happens, we find alternatives and start from scratch. We cannot overlook the part of promotion, organizational and financial issues, of course. These are certainly quite a few things, but we take it one-step at a time and move forward. How do you promote your products? What tools do you use (social media, word of mouth, etc.)? All the above. Customers find us mainly through our social media, but also through the branches that we collaborate with in different parts of Greece. Our goal is to "build" a brand that stands out and is recognizable for its aesthetics and quality. What message would you like to give to other creators? What would you advise them? What we do is that we always support our ideas; we always hang on to our own aesthetics and quality. We are not afraid to experiment. We don’t back down. Where do you see Rhodesign 5 years from now? What is your goal? In the future, we would like Rhodesign® to be a recognizable brand for its design and quality, to incorporate more materials and processing techniques into our production, and to collaborate with more creators. How do you apply the Greek Island Effortless Living in your life and business? How can people experience this through Rhodesign? We experience the Greek Island Effortless Living because we live on an island, where everyday life is easier. You feel it when you take a towel with you at work because the sea is always beside you. You feel it when you don’t have to make specific plans because you will definitely run into someone you know and grab a coffee. We want our products to give off that same feeling. All Rhodesign® products express this way of life. It’s our belief that at the end of the holiday, everyone can redirect this feeling into their everyday life though our products. What you need to build a successful business! How Self-Compassion leads to Success.